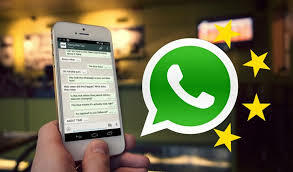 WHATSAPP 4 Phone ܍ How to DOWNLOAD WhatsApp for FREE ! WhatsApp Messenger is a multi-platform mobile messaging app to exchange text (or voice) messages without paying for SMS, which can be installed mostly on any smartphone or mobile device for free. 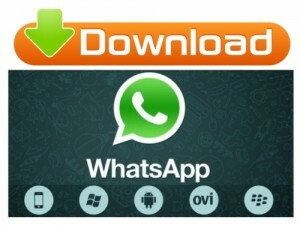 How to Download Whatsapp on your phone? WhatsApp Messenger can be downloaded and installed on traditional phone and smartphone like the BlackBerry, Nokia, iPhone, Samsung or any other Android, Windows or Ubuntu phone. What if I have an old phone? If you own an old phone or have any trouble downloading and installing Whatsapp, then follow read this specific tutorial for Java, Symbian or even for Bada Os . If you have an old Nokia smartphone click here or if you have troubles installing Whatsapp on a Samsung device click here. Recently you have been so relieved knowing that you have the chance to delete that embarrassing message sent by mistake with WhatsApp. And now you discover that instead there is a little trick to read it! Yes, my dear WhatsAppers, according to Spanish website Android Jefe, there is a way to read a ‘deleted’ message. But let’s start from the beginning. The Facebook-owned instant messaging app has recently rolled out a new feature called Delete for Everyone, available on Android, iPhone and Windows Phone. This option allows WhatsApp users to delete messages sent by mistake to an individual or a group. 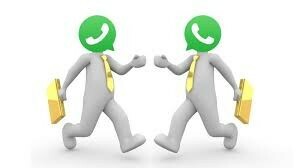 Users have exactly seven minutes to delete the message and, most important, in order to use this feature both the recipient and the sender need to have the latest version of WhatsApp installed on their devices.Once you have deleted the message, in your account you will find this words “You deleted this message”. This has been an extremely difficult week for the Facebook-owned instant messaging app. The Chinese government has in fact, once again, temporarily blocked the app. As reported at the beginning of the week by The New York Times, the service bad been “broadly disrupted in China”, while TechCrunch claims that many users couldn’t use WhatsApp from Sunday night, even if in some areas it was still possible to send and receive WhatsApp messages. Strangely, WhatsApp has not yet released any comments on the blockage, and it seems that nothing will be said about this odd situation. The relationship between the app and the Chinese government has always been difficult, and it’s not the first time that the app has been banned in the country. Great news for those of you who use WhatsApp through Android devices. Thanks to the latest update, users will find it much easier to free up space on their smartphones, and without wasting much time. How is it possible? According to Android Police, the app has added (currently just as a beta) a new storage management section, which allows users to mass-delete specific kind of chats or messages, and in the meantime allows saving others. How can you use this new feature? Today we have some news that will really take WhatsApp users by surprise. 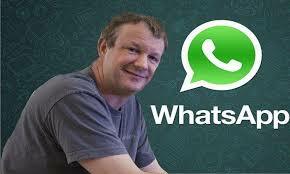 Brian Acton, WhatsApp co-founder, is leaving the company to embrace a new adventure in a non-profit sector. Acton, along with Jan Koum, founded WhatsApp eight years ago and since then many things happened. 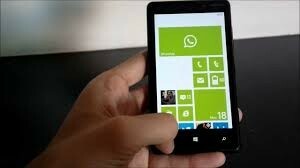 Great news for all Windows Phones users: they will be finally able to download a new, major update of WhatsApp. And that’s not all. In fact this latest new version, number 2.17.258, is already a stable one. Which means that this new version is already available for all Windows Phones and Windows 10 Mobile users, not just for Beta testers. This new 2.17.258 update for Windows Phones and Windows 10 Mobile adds many of the features that have already been introduced in previous Beta versions of the app. This is important, because it means that they have already been tested and improved. According to rumours, WhatsApp is testing verified business accounts. It is not completely a surprise, since Jan Koum (one of the founders of the app) had already anticipated such a possibility in 2016. And now it appears that the instant messaging platform (the most popular around the world, with over 1.3 billion active users) is seriously working to make this idea a reality. WhasApp users will soon be able to use a new, great feature. This latest version of WhatsApp, available for both iOS and Android platforms, allows users to write status updates with a colorful background, and also enables users to add a link and choose a font for statuses. Furthermore, users have now the possibility to view status updates on WhatsApp for the web.